I have been doing so many food pins that I'm sure you're wondering if I aspire to be a chef ... no, not even close! LOL I do pin other things on my Pinterest account than food and recipes (though I do love me some food). I pin crafts, clothing styles, things for my boys, funnies, DIY's for the home and of course beauty tips! I haven't done any hairstyles in a while, and felt like I should share! :-) Both are along the same lines, but with little differences. I found the original pins HERE and HERE. I've done this hairstyle before ... but I had always pulled it into a pony because humidity and curly hair just don't mix. Now that it's winter, not much humidity = straightened hair! Wahoo! Next up is the same idea, but I have my swept bangs. 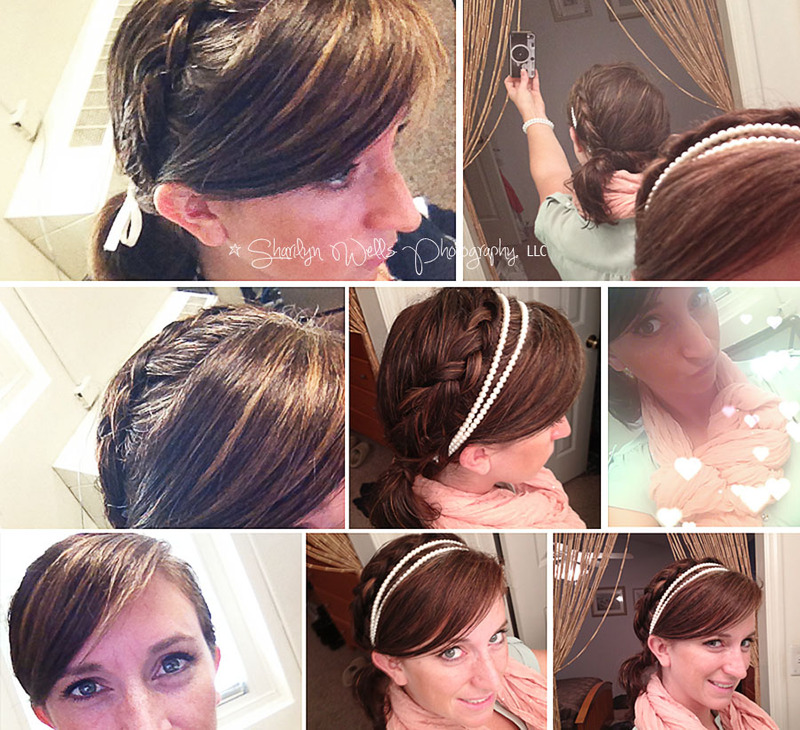 This collage is a mixture of two hair days, one I used a bow and the other I added some pearl flair. By far my favorite hairstyle so far! This hairstyle idea courtesy, Join the Mood. Well, you can see that ever since I got the hang french braiding my own hair, that's all I do. It's true. I'm super proud of myself and finally mastering braiding my own hair! LOL Which is why I just dig Join the Mood, she has all kinds of braid hairstyles and I plan on trying out many more of her ideas! 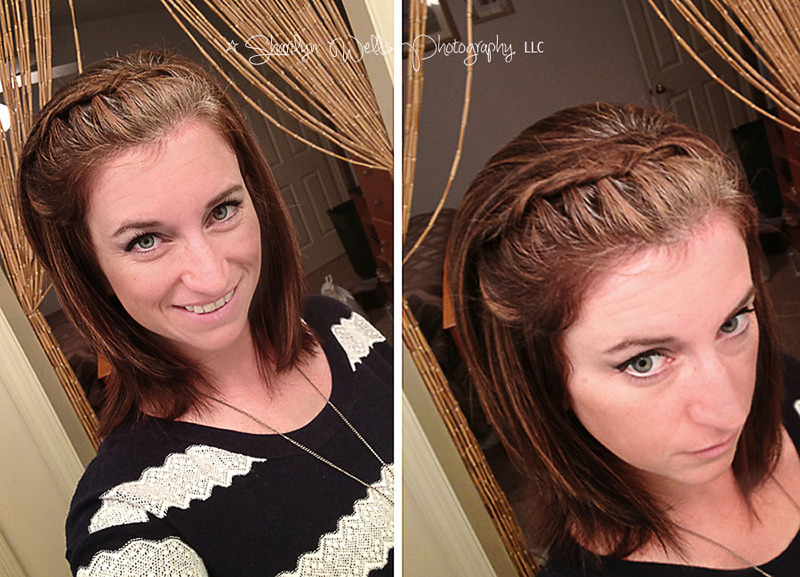 You don't need bangs for these! That's what makes it so awesome!